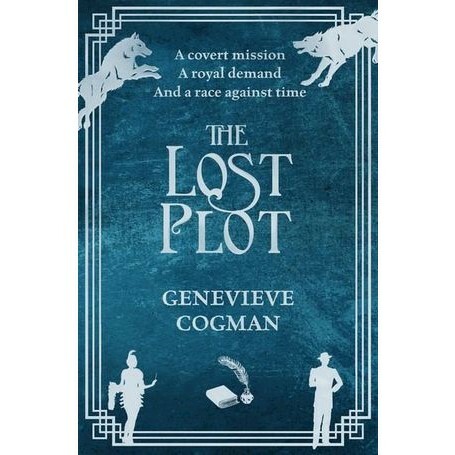 The fourth title in Genevieve Cogman's witty and wonderful The Invisible Library series, The Lost Plot is an action-packed literary adventure. In a 1920s-esque America, Prohibition is in force, fedoras, flapper dresses and tommy guns are in fashion, and intrigue is afoot. Intrepid Librarians Irene and Kai find themselves caught in the middle of a dragon vs dragon contest. It seems a young librarian has become tangled in this conflict, and if they can't extricate him there could be serious political repercussions for the mysterious Library. And, as the balance of power across mighty factions hangs in the balance, this could even trigger war. Irene and Kai find themselves trapped in a race against time (and dragons) to procure a rare book. They'll face gangsters, blackmail and fiendish security systems. And if this doesn't end well, it could have dire consequences for Irene's job. And, incidentally, for her life . . .
Genevieve Cogman started on Tolkien and Sherlock Holmes at an early age, and has never looked back. But on a perhaps more prosaic note, she has an MSc in Statistics with Medical Applications and has wielded this in an assortment of jobs: clinical coder, data analyst and classifications specialist. Although The Invisible Library was her debut novel, she previously worked as a freelance roleplaying game writer. She is also the author of The Masked City and The Burning Page, both in The Invisible Library series. Genevieve Cogman's hobbies include patchwork, beading, knitting and gaming, and she lives in the north of England.